This post is my contribution to Page's Horsethon, at My Love of Old Hollywood. Check out the rest of the entries here. Horses are a fitting subject for a blogathon, because it is the movements of this animal that bridged the gap between still photographs and the movies. This is thanks to the work of the innovative photographer Eadweard Muybridge. Though Muybridge would likely have been famous as a photographer even if he had never attempted to catch a horse in motion, he would probably not be well remembered today. Since he did, the idea of moving pictures began to develop into the movies we know today with his discoveries, and his name is a familiar part of cinema history. 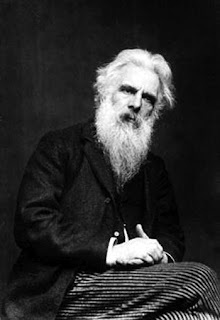 Eadweard Muybridge was born in England, but he spent most of his life in the United States, and particularly California. 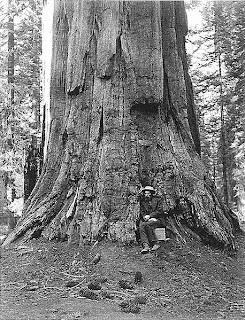 He immigrated to San Francisco in 1855, when gold fever was still wild in the west, and eventually established himself as a bookseller. Seven years would pass before Muybridge was fully rehabilitated and could return to San Francisco. While in recovery, he changed his vocation to photography. By the time he returned home in 1867, he knew his trade well. He quickly made his name as a photographer of landscapes, and most notably Yosemite Valley. Muybridge also traveled to find interesting subject matter, such as the Tlingit people in Alaska. This is where the horse part comes in. In 1872, former California governor, railroad baron and race horse owner Leland Stanford hired Muybridge to answer a question. He wanted to know if a trotting horse ever had all four feet off the ground, and he was rich enough to find out. Muybridge set up his camera at Stanford's farm in Palo Alto, and he captured proof on a single negative that is now lost. Yep, that horse was airborne. While the initial study excited Standford, the most famous of Muybridge's horse images (and the ones you see pictured above)would not be taken for several years. There was a bit of scandal in the eccentric photographer's life. Muybridge had married Flora Shallcross Stone, a much younger woman, in 1872. They had a child, Florado Helios Muybridge, in 1874. Several months later, Muybridge became convinced that the baby was the son of Major Harry Larkyns, a drama critic. The livid photographer tracked down Larkyns and shot him dead. He was willingly arrested, and most irritated that his lawyer pleaded insanity. The jury ignored the plea anyway, and acquitted him for "justifiable homicide." Stanford had managed the troubled Muybridge's defense. Once free, Muybridge left for South America to take a previously-planned photography trip. When he returned several months later, Flora had died. Muybrdige never had much more to do with his son, though photographs have shown that the boy did resemble him. Florado worked on a ranch for most of his life, and was hit and killed by a car at age seventy. 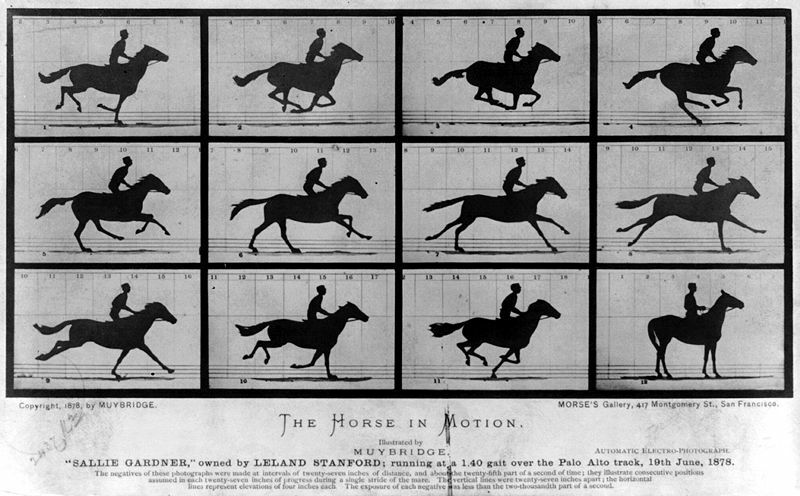 Stanford hired Muybridge again in 1878 to make a more detailed study of horse movement. New technology had greatly improved the quality of the photographs and thus a sharper, more detailed image could provide more insight into the animal's motions. Muybridge set up 24 cameras on the racetrack. Frustrated by his inability to take images of the horse quickly enough by hand, he set up a system of electrical wires on the racetrack. These would be triggered by the horse when it ran across them, thus setting off the shutter of the camera. Muybridge also hung bright white sheets across the race track so that the contrast between horse and background would be greater. The resulting images created a sensation. They were the subject of local newspapers and scientific journals. No one had ever explored the possibilities of motion in photographs to this extent. This new method of projection set several imaginations on fire, one of the most significant being motion picture pioneer Thomas Edison. 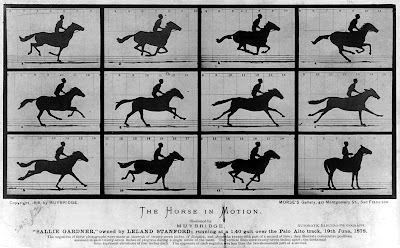 Though Muybridge had a falling out with Stanford over the rights to his horse images, he would continue making motion studies at the University of Pennsylvania, where he took over 100,000 images. In addition to horses, Muybridge studied other animals and even people. His subjects included cows, goats, dogs and boars. In 1887, Muybridge published a portfolio with thousands of his images. Their influence was so powerful that it and a couple of books to follow continue to be used by individuals in science, athletics and the arts today. Later in life, Muybridge traveled the world, giving lectures and demonstrations. During the Chicago World's Columbian Exposition of 1893, he projected his moving pictures in the Zoopraxographical Hall. This would make his exhibit essentially the first commercial movie theater. After a long life of accomplishment, Muybridge returned to England in 1894, where he lived until his death in 1904. He would have held a small corner of photography history without Stanford and his horses, but who knows when the movies would have come along if he hadn't trained those cameras on Occident? Thanks for contributing something truly unique (and awesome) for the Horseathon. I remember the Google horses but I didn't know it was a tribute to Maybridge. 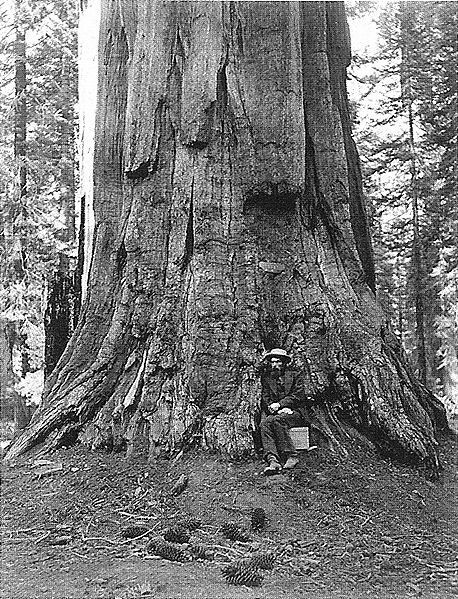 His photo reminded me of Walt Whitman btw. They could be brothers. I love that record and the projection. Thanks for including the closeup of it. It reminds me of the old lamp shades that projected an image onto the wall or ceiling once the lights were down. I hope having you down for Monday didn't mess with your posting schedule here. I can change you to today if you'd like. Thanks for this interesting post and for doing the Horesathon. I'm looking forward to Mary coming soon! Fascinating subject for this blogathon. It seems appropriate that the Horse is what might be considered the beginning image of the motion picture, as it encapsulates what we think of as the poetry of motion. The background on Muybridge is quite interesting also; he definitely had a colorful life! Excellent post! As someone who's fascinated by early photography and the beginning of cinema, I found this to be extremely interesting and informative. It was surprising to learn that Muybridge had spent so much of his lifetime in the States. Page--yeah, I think he looks like Whitman too. I mean, I know a lot of guys had long white beards back then, but they also had a similar slightly crazy expression. grandoldmovies--Thanks! I only recently found out about the rest of Muybridge's life. It was quite eventful. I actually left some stuff out. Barry--Thank you! I also love early photography, especially the way the early innovators were influenced by each other. The story about how images developed into the movies is so fascinating. I plan to post about that someday. KC - what a great post! It was informative and beautifully done. And, as Muybridge knew, there is nothing more beautiful than a moving horse. I enjoyed this tremendously. Terrific post about a fascinating man and his work. I've owned the book which features many of the photos Muybridge took, since I was in art school. It's a staple. At least it was for me. Wonderfully entertaining and informative article. Hi FlickChick, Yvette and Caftan Woman--thanks for the kind words. I'm so glad you enjoyed the post, because I was delighted to share all the bizarre things I learned about this man. They ought to make a biopic about him. Yvette--That is so cool that you used his book! I need to track down one of those some day. What a fascinating post, full of rich detail, about a man I've heard little about before. Muybridge lived quite a life, didn't he? A very unique and informative contribution to the Horseathon - thanks! KC, I had just thought about this pioneer experience when reading the other horseathon entries and then I saw yours. Very interesting! I could never imagine that Muybridge had had a stagecoach accident, killed a man and that the footage was originated with a rich man's doubt. I'm also in the blogathon, with a entry about A day at the races. 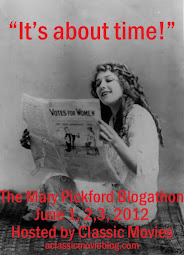 See you in the mary Pickford blogathon! This was a most informative post, KC. 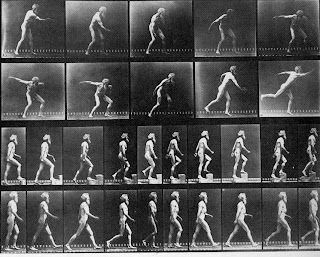 My passing familiarity with Muybridge comes from the segment they did on TCM's movie history doc, so I enjoyed how you fleshed it out. Jeff--I know, when I read about his pardon I wondered how the heck he got away with that. "He had it coming to him" is definitely not a strong defense these days. Le--They really ought to make a movie about this guy! But it's one of those stories that is almost too wild to work as fiction. Ivan--To think I almost cut out that transition because I thought it was too random. I would have missed out on an Ivan laugh--the true sign that I have done something right!